Since living in Germany, I keep wondering about how luxury is usually defined and manifested in the daily life. In most cases, I noticed nothing compared to the usual extravaganza and glamour, you can encounter in Paris or LA, for instance. Instead, there is a certain modesty and measure in showing off your wealth to the world. This state of mind is reflected also in the design and general philosophy of big hotels. The more stars a hotel have the more contended is the exhibition of wealth. 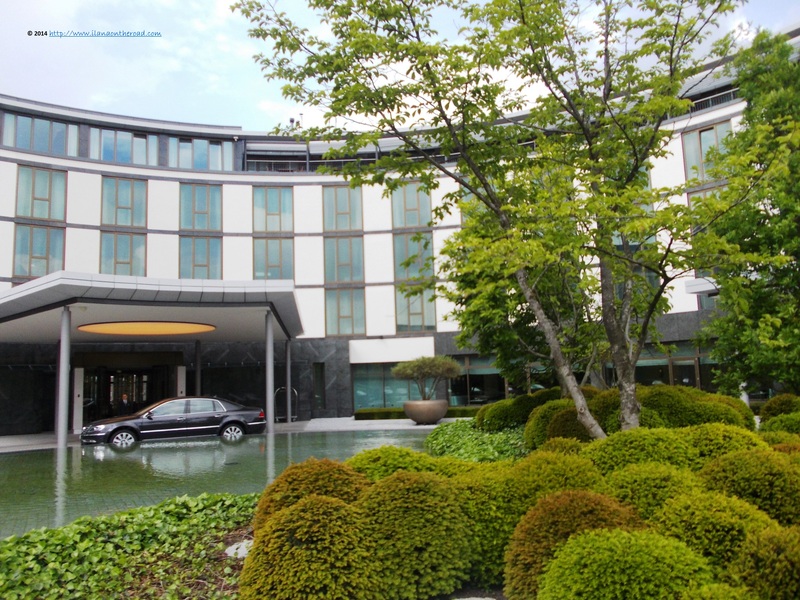 The results can be very interesting, as it is the case of the newly redesigned The Ritz-Carlton Wolfsburg which welcomes the visitor with a oasis of green, in the middle of the famous thematic park of Autostadt, the communication platform for the Volkswagen Group. The Autostadt theme park, the second largest and famous in Germany, attracted more than 27 million visitors, since its 14 years of function, many of them businessmen and high-end tourists. At the first sight, the decision to open here first one of the two Ritz-Carlton Hotels - the other one is situated in Berlin - in such a 'secondary' location might be surprising, but it rather express a sophisticated knowledge of the real state of arts of the luxury business in Germany. The renovation lasted from August 2012 to November 2013, the redesign being developed by Autostadt in cooperation with Paris-based American architect Elliott Barnes. Those who previously visited the hotel will not find a radical transformation of the location though, as the architect and its team tried to keep in line with the initial plans developed by the French designer Andrée Putman. The original sense of ambiance was kept but translated into a simpler architectural language. 'Our goal was to bring this philosophy up-to-date and permanently establish the hotel at the high end of the global industry', explained the new philosophy Autostadt Creative Director Dr. Maria Schneider, according to a press release of the hotel. 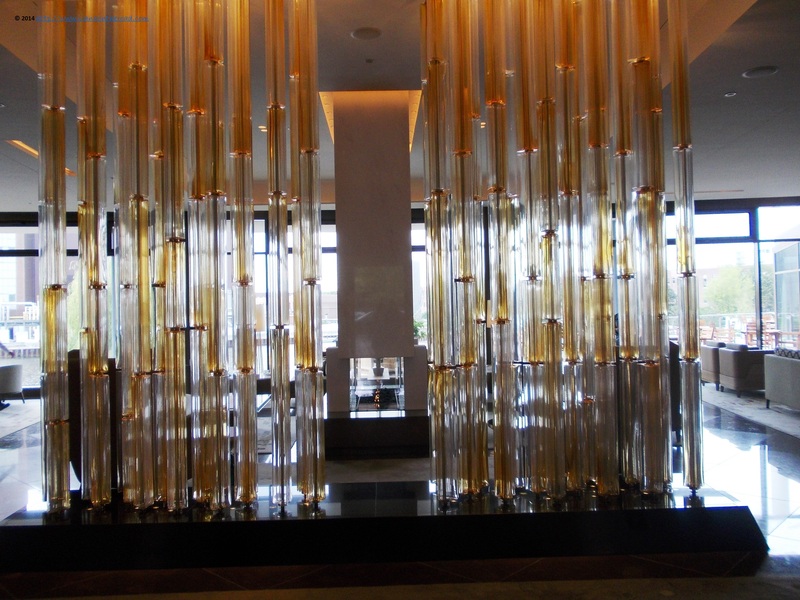 One of the most iconic and easy to remember detail of the hotel is the newly designed lobby, with its bamboo-like curtain of illuminated glass tubes that embodies an abstract forest. It is the perfect anchor point that can start the stay and your personal experience at The Ritz-Carlton. 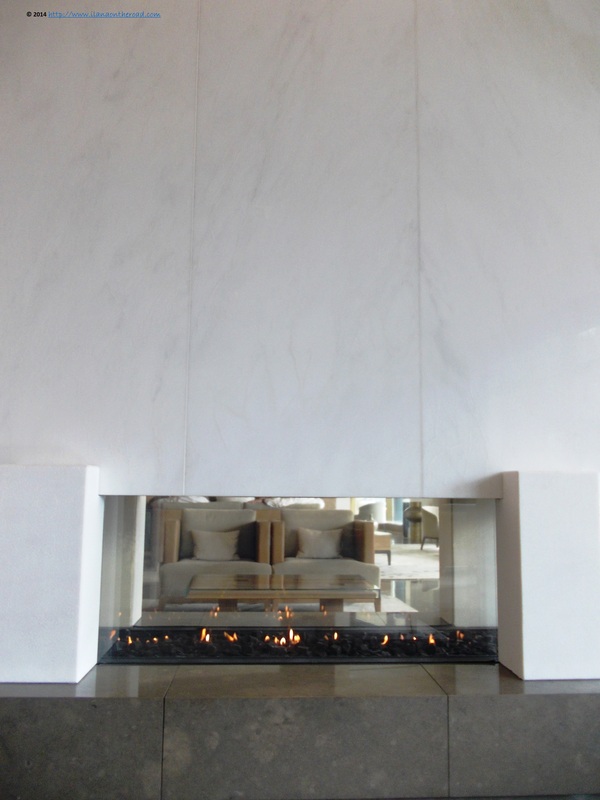 In the center of the room, a further separation of the space is made by the large while marble fireplace that brings not only the overwhelming feeling of tranquillity, but also integrates one of the main branding elements of the hotel: 'feeling home while far away from home'. 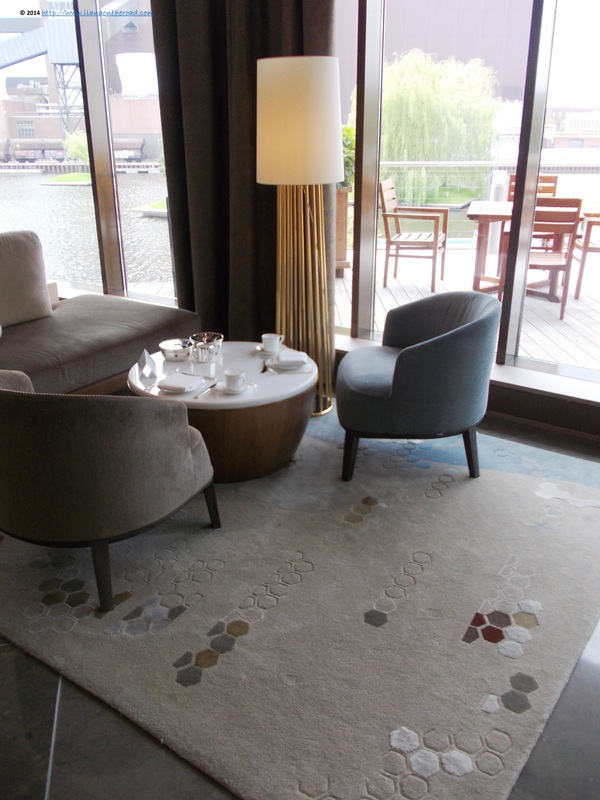 While I am waiting in the lobby, my eyes are moving from a part to another, recording the very small details of the decorations and design concepts: the golden intarsia of a black round table, the reflection of light into the blue walls, the comfy chairs with delicate curves. The combination of glass and traces of gold is elegant yet creates a certain dialogue and intimacy, as it does not overwhelm the visitor with its opulence. My best location is near the window, from where I can have a perfect view over the landscape. The industrial constructions such as the historic Kraftwerk - don't expect beauty from the industry, isn't it? - are embellished by the small artificial green islands in the middle of the water. Despite being a place for high-end industry and business, the Autostadt is conceived as a predominantly green area, with hills and relaxation area and many garden with small family of ducks slowly making their way through the shadow of big towers stuffed with latest generation of Volkswagen cars. This landscape allowed a good creative playground for the designer who presented his concept according to the latest issue of Autostadt Magazine as follows: 'I envision the Autostadt as a park with pavilions, which I associate with follies in French baroque gardens. These smaller structures lead to the main building. In this metaphor, The Ritz-Carlton becomes a castle framed by buildings in a beautiful garden'. Keep in mind the idea of 'French follies', ok? 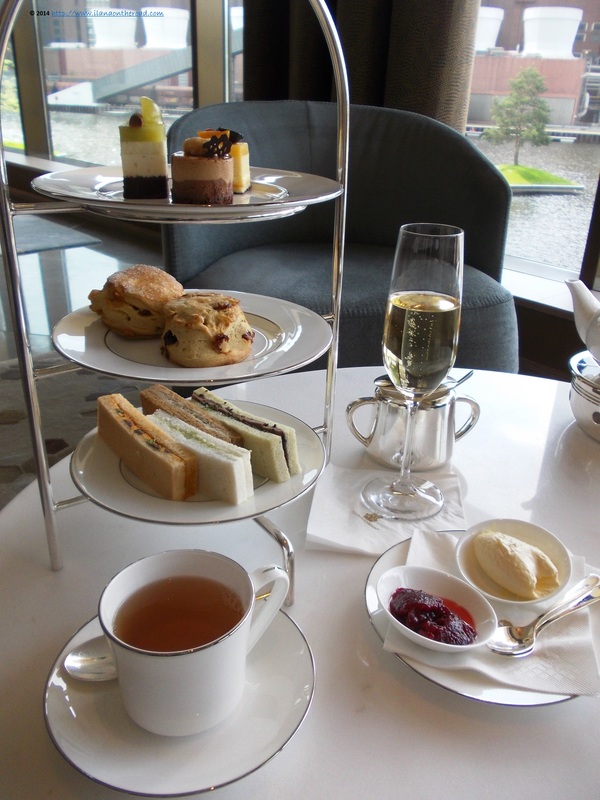 Before having a full tour of The Ritz-Carlton, I stop for the afternoon tea. A perfectly smoked Sencha tea, with a glass of champagne - the non-alcoholic apple-based version is also available - and delicious treats getting more and more sophisticated from a tier to another. 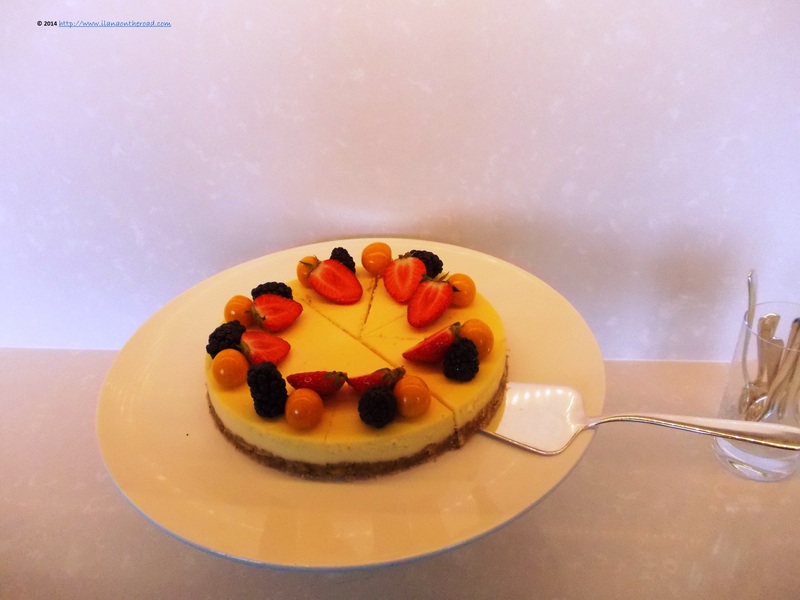 It starts with herbs-aromatized small sandwiches, continues with fresh scones with oranges and raisins, with marmalade, and continues with the perfect afternoon tea cakes: apple, oranges and chocolate flavours. The service is perfect, the ambiance and the background music likewise. I can stay there for the rest of my life, but I should keep my schedule for the day, and discover more secrets of the hotel. 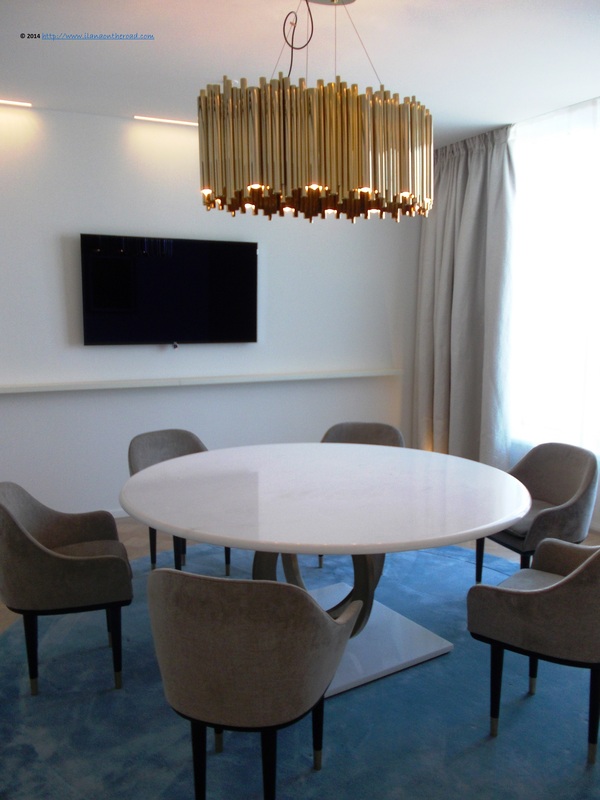 My tour starts with a small space aimed to offer even more privacy: a library, with comfy chairs and the round tables typical for the newly designed furniture of The Ritz-Carlton. 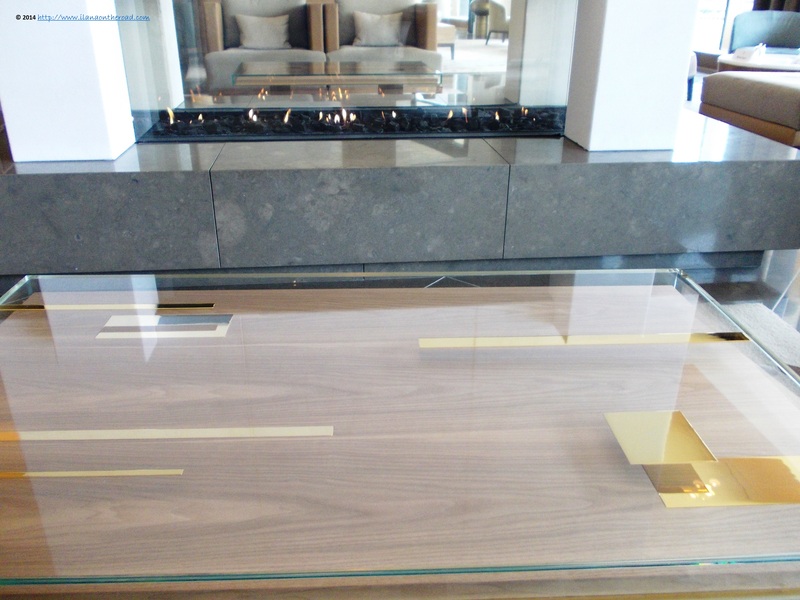 The predominant line of the furniture is a mix of old and new design classics. Close to the lobby is situated the design shop, offering branded items, selected wines as well as various wellness products. Vouchers can also be purchased and used. 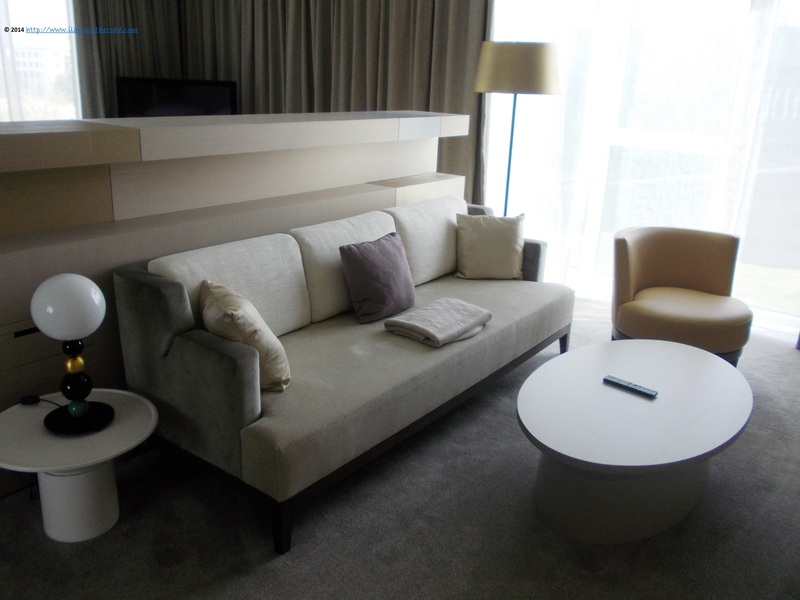 The products distributed here are aimed to reflect the high standards of luxury of the hotel. 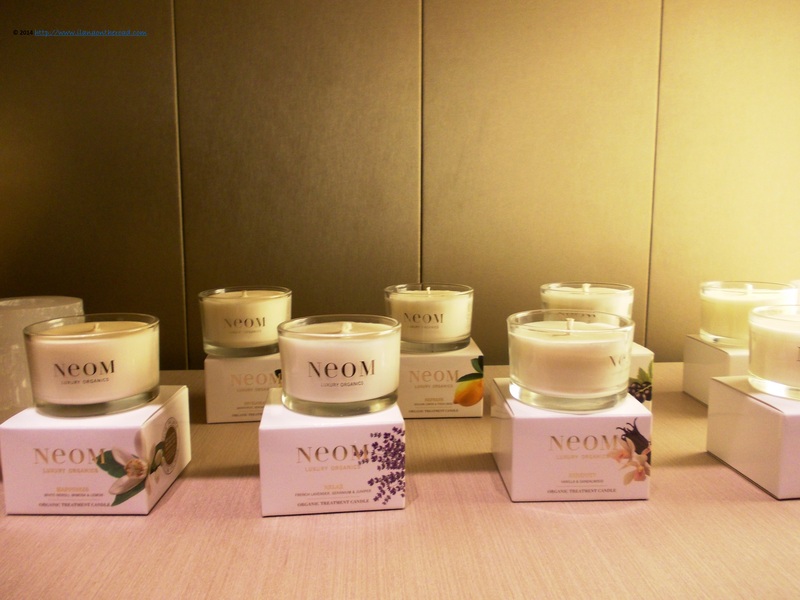 Many, as in the case of Neom series, are used in the spa as well. On the occasion of the new opening, The Ritz-Carlton proudly announced the purchased of more than 600 works of art, including works by Robert Mapplethorpe, Arnold Newman, Elger Esser, Guenter Foerg or Rolf Rose. The works of art previously displayed in the upper-level hallways were relocated now in the guestrooms and suites. Elliot Barnes chose to have the art exposed on narrow shelves installed above the sofas, integrating the piece of art in various casual arrangements that can change as often as possible. As I pass through the lobby hall, I notice the black-and-white works of the local photographer Henry Heidersberger. 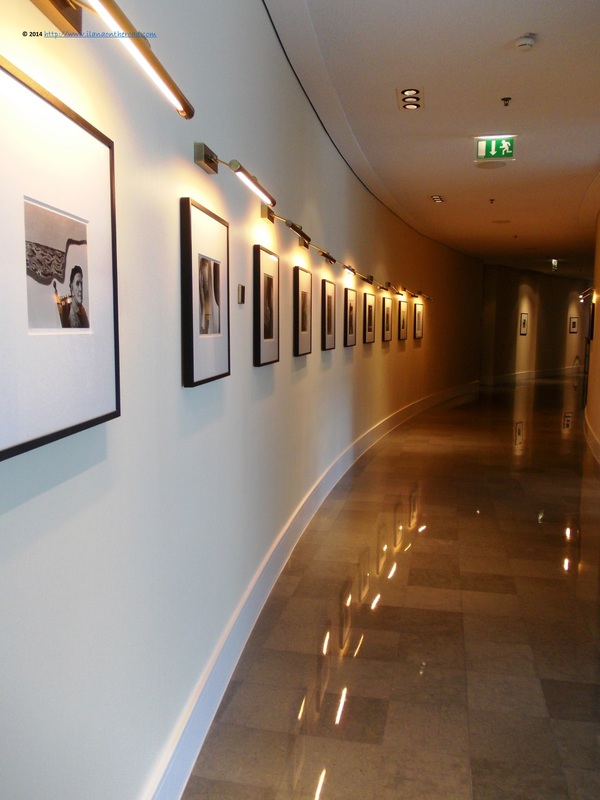 Another photographer whose work was bought for The Ritz-Carlton collection is the Salzburg-based Agnes Forsthuber. 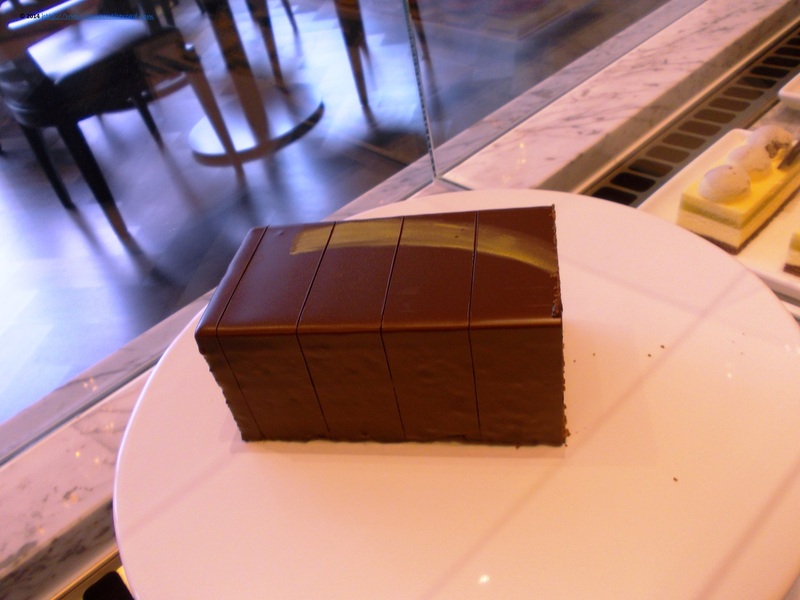 The new stop is at the deli, a new addition to the hotel, where extraordinary good looking cakes are screaming 'temptation' from all their colourful corners. The star of the foodie collection is the famous Carlton cake, developed on the base of 20 recipes from chefs around the world. Created as a tribute to the hotel's founding, it contains, among others, Grand Marnier, orange confit and an elegant touch of gold. The rest of the deli area combines secluded private corners with excessive openness, encouraging communication and transparency. With so many sweet temptations, I imagine that it's almost impossible to refrain from asking your neighbour how his or her cake is tasting. The strongest friendships are starting as simple as possible. 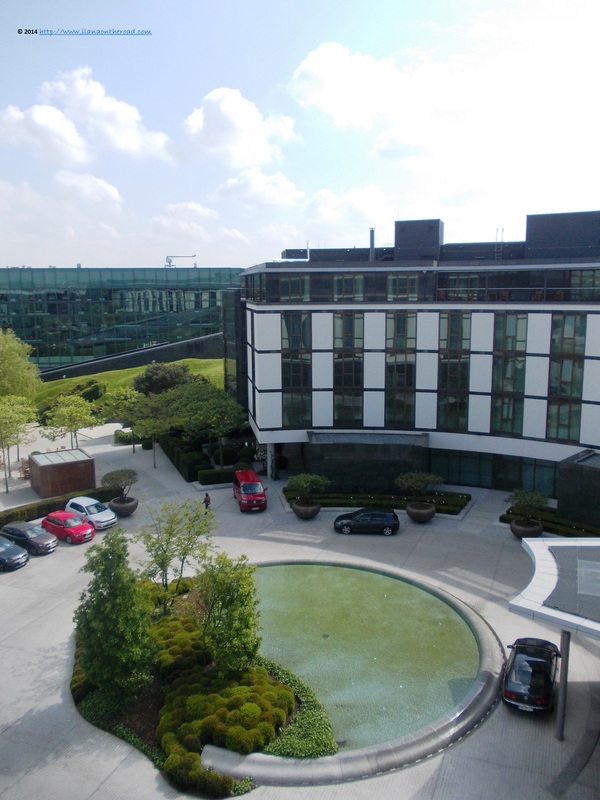 When the weather is perfect, like at the time of my visit, there is the Hafenterrasse, with a view of the swimming pool. Used for the breakfast and usually as an alternative to the restaurant during the day, it also has a winter terrace. But nothing compares to the quiet and tranquil view that you can have during an average sunny day. Welcomed by pleasant perfumes, I made my way to the spa. Where I am? Somewhere in a 1001-night tale? The word 'relaxation' is translated into added flavours and rays of light. 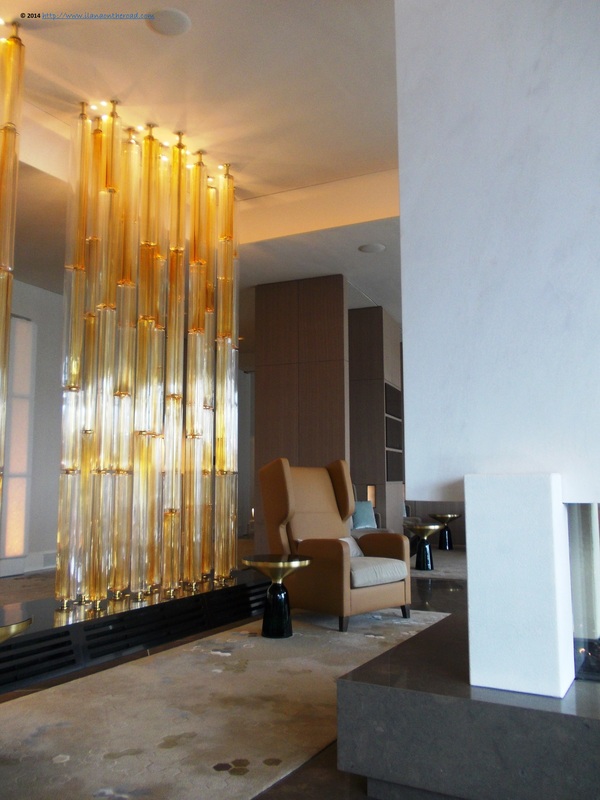 The spa was the first part of The Ritz-Carlton that went through redesign, the work being finished two years ago by Angelika A.Vogt Corporate Styling. It targets the high-end customers of the hotel, in need of a serious rejuvenation and wellness after busy and sometimes long business meetings. The massages and body treatments are completed with organic products by Neom and The Organic Pharmacy. It has bath, sauna and steambath, with by choice, separate areas for men and women. 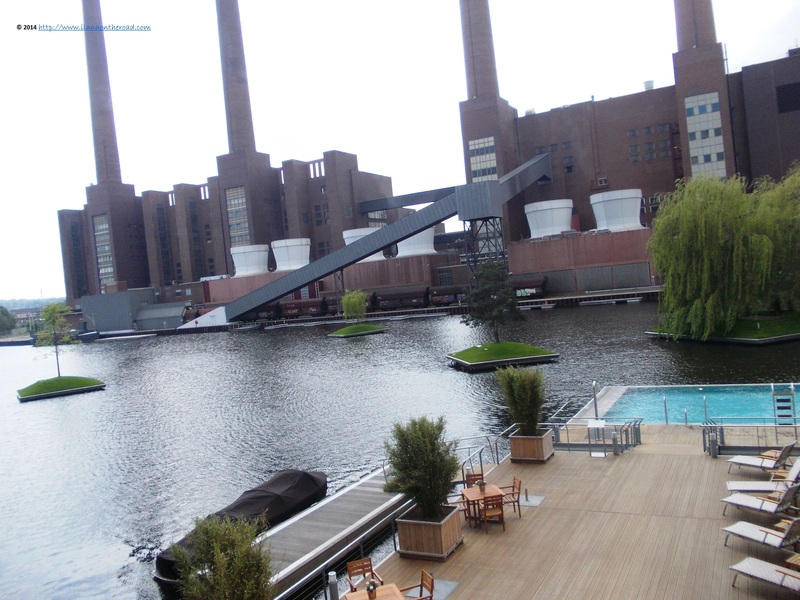 The fitness area, equipped with modern machines, offers a perfect incentive to training: a view of the docks and the canal - the so-called 'Wolfsburg Riviera'. The swimming pool is kept at a constant temperature of 29C. The Ritz-Carlton Hotel has 170 rooms, out of which 23 are suites. Each of the four floors of the hotel follows an unique colour scheme that characterized equally the corridors as well as the rooms and suites. Elliot Barnes followed the concept of an imaginary ascent to the top of a mountain. It starts with the valley (ground-floor), glacier (second-floor) and peak (thirds floor). The next - fourth - level reflects the clouds with light, a counterpoint to the heavy ambiance from the lobby. 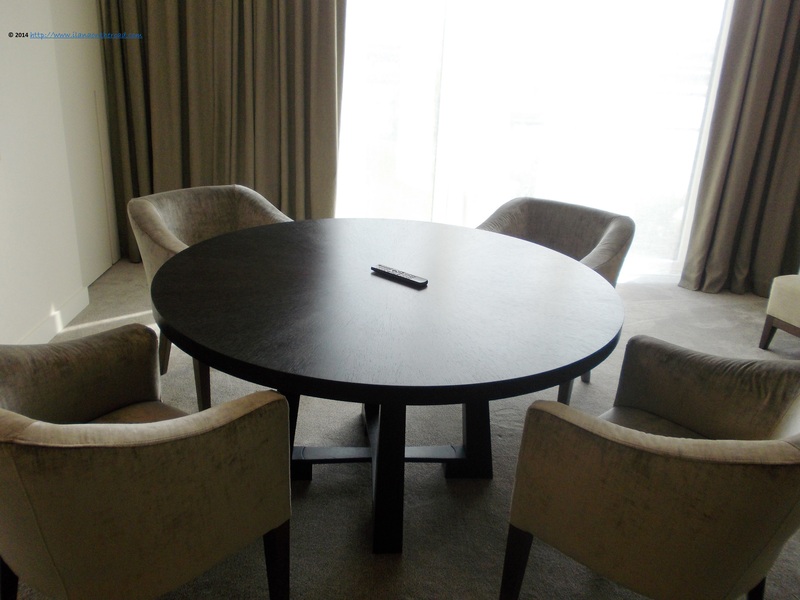 All the tables in the rooms has a predominant oval shape. Replacing the previous massive desks, the message sent by this important piece of furniture is of openness and dialogue, either it is about talking business, coordinating a team or enjoying a quiet family evening. 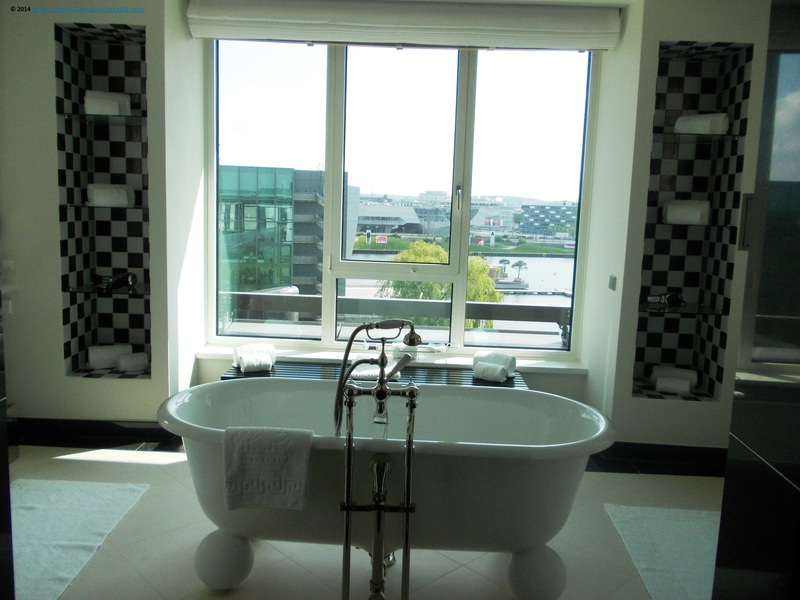 Every room looks like a fully equipped luxury apartment. The sophisticated technology is present too, but without being intrusive: you can manage all your connections and plugs from the retractable panel from the nightstand. 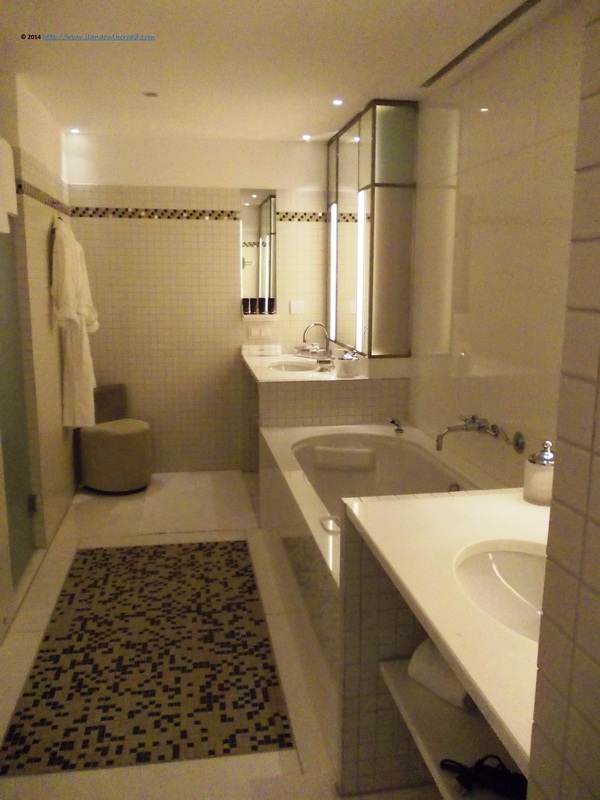 The bathrooms are fully equipped and very elegant, predominantly white with small traces of black. Butlers can be provided by request. In every space of the hotel, lightning is very important, and can be adjusted by the guests, from 'full' to 'soft'. Thus, you are free to make the right choice to determine your ambiance, and not given a space you should inhabit only. Once you arrive at the fourth floor, you are entering the new Club Level. 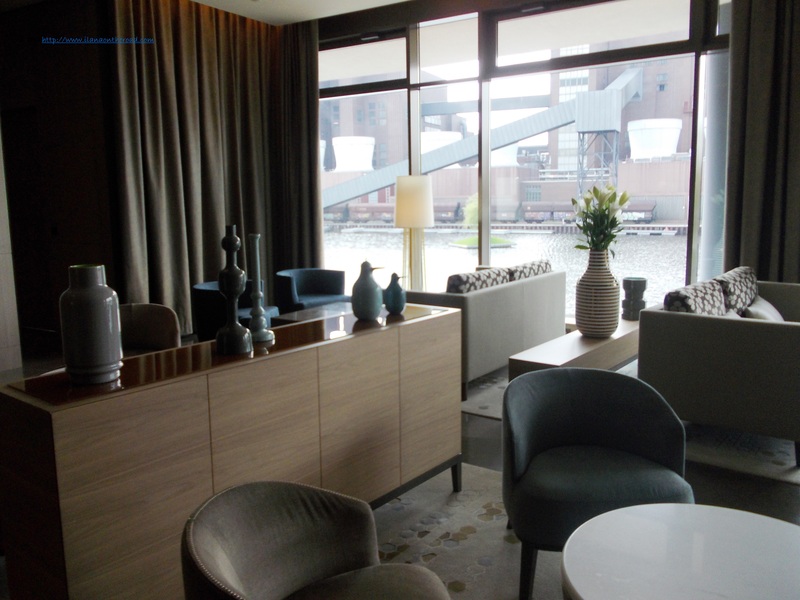 It provided personal concierge service, separate check-in and access to the Club Lounge. Different menus are offered throughout the day. The Club Lounge is conceived as a living room where you can read, make the right changes to your presentation or read on sofa near the fireplace. Those interested to have private discussions can book conference rooms. From the balcony, you can view the Autostadt with completely new eyes, and I suppose that the architect and its team spent a lot of time outdoors testing ideas and creating perspectives. Another important concept of the design philosophy is the idea of room-in-room. Spaces can be easily created, either by the massive decorations or the comfy sofas or by the leather-covered headboards and sideboards frame of the beds or sofas. 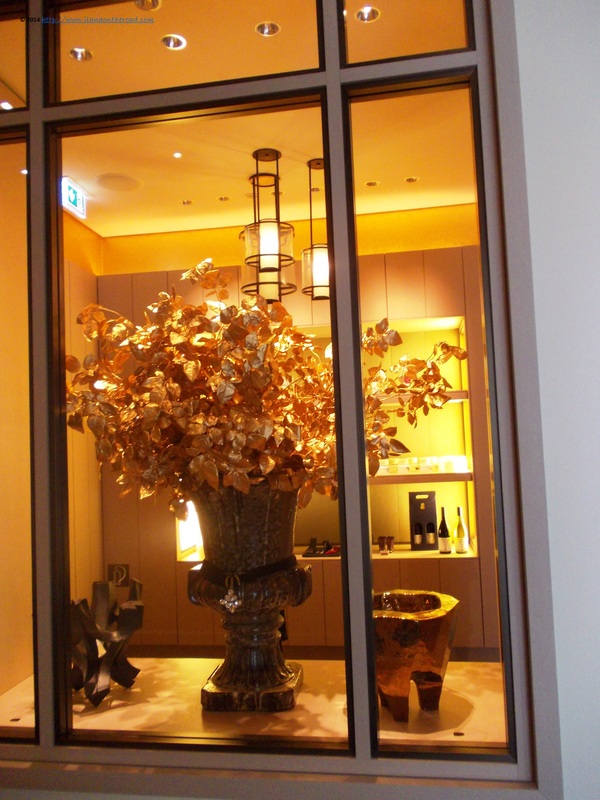 The overall style has a common denomination: genuine luxury, that can suit the cultural diversity of the guests. Although the majority are originally from Germany and German-speaking countries in general, an important number of guests are coming from China, Japan, Brasil, US or the Middle East. 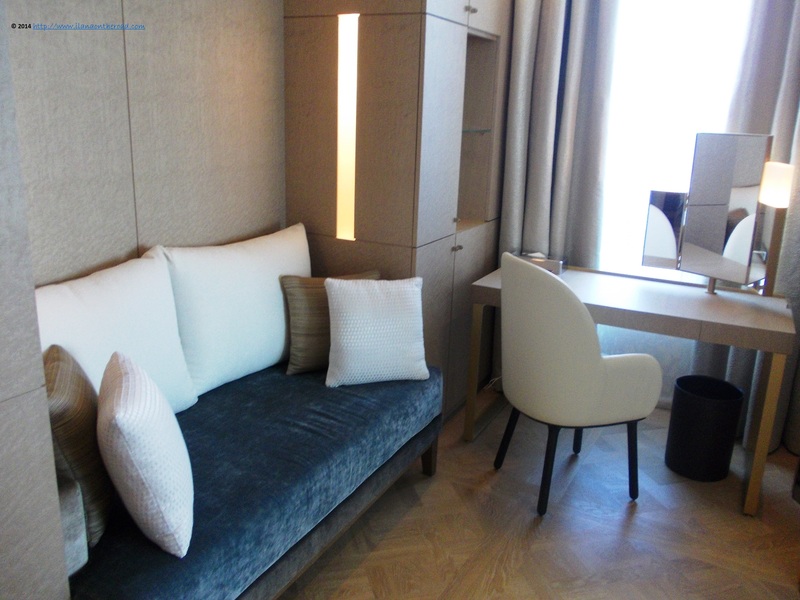 On the fourth flour are also situated the 220-square metre Black and White Suites, keeping the signature of first designer of The Ritz-Carlton André Putman. 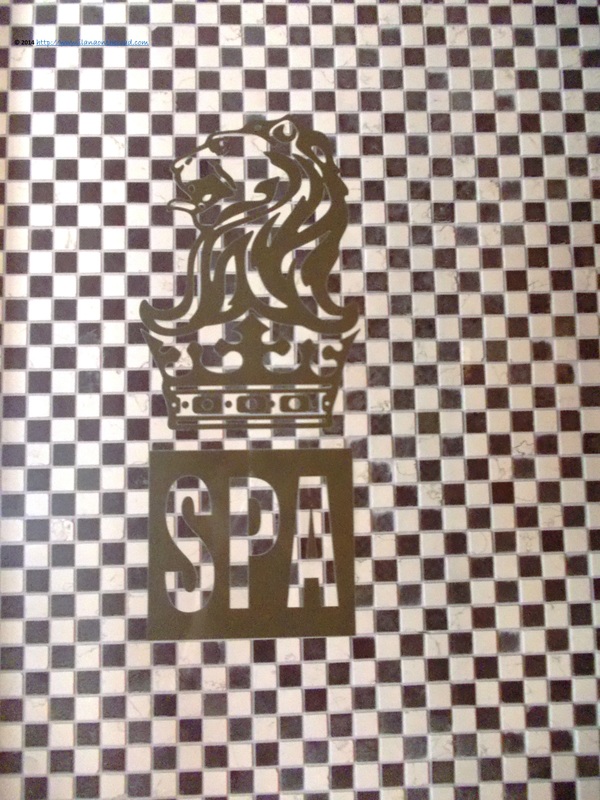 The original black and white checkerboard tile pattern is integrated into the new design concept and can be often discovered either at the Spa, or in the lobby or in some of the rooms. The couches might look small, but if you think twice you realize that are based on a perfect economy of space. The furniture is aimed to help the guest rest or do his or her job, without stealing from the freedom of movement of the rooms. The delicate edges of the furniture are continuing or communicate with the sources of light and the severity of the walls. 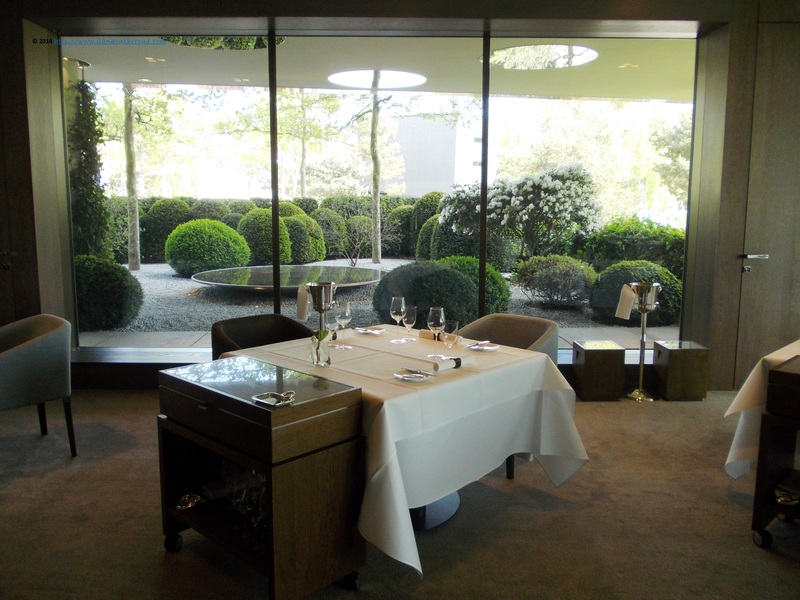 The Ritz-Carlton Wolfsburg has another precious gem: the multi-awarded restaurant Aqua, ranked on no.28 of the world's 50 best restaurant list S. Pellegrino and the gourmet journal 'Restaurant Magazine'. 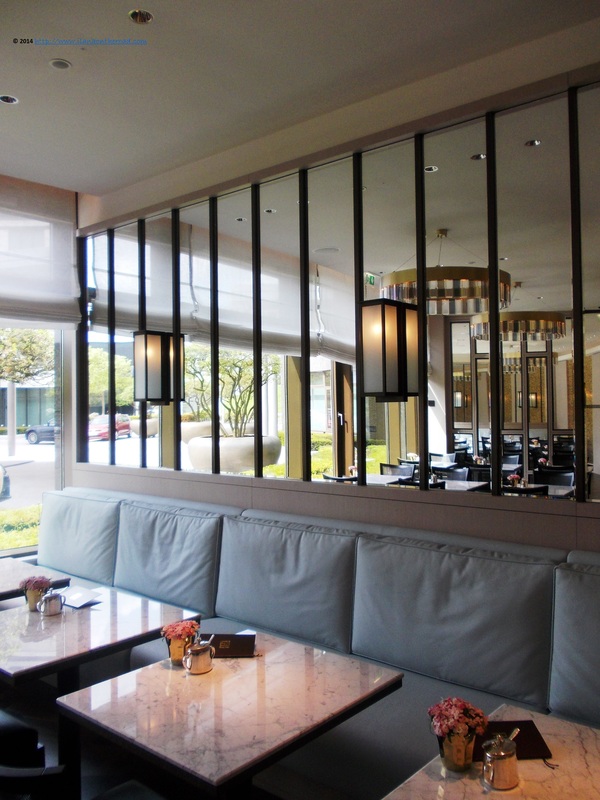 For the fifth successive year, Aqua is representing Germany at this event considered 'The Oscar's of the gastronomic world', as one out of only two German restaurants. The cuisine of the chef Sven Elverfeld, which I was introduced to, is characterized as a sophisticated harmony of aroma, special flavors and texture. Many of his dishes reconnect to a personal memory and tell an individual story about travel or some episode in the career of the chef. As Wolfsburg is only one hour away by train from Berlin, I am tempted to return for a personal experience of the cuisine. Although the main area of the restaurant was looking empty, I was able to hear the intense preparations for the afternoon opening in the background. 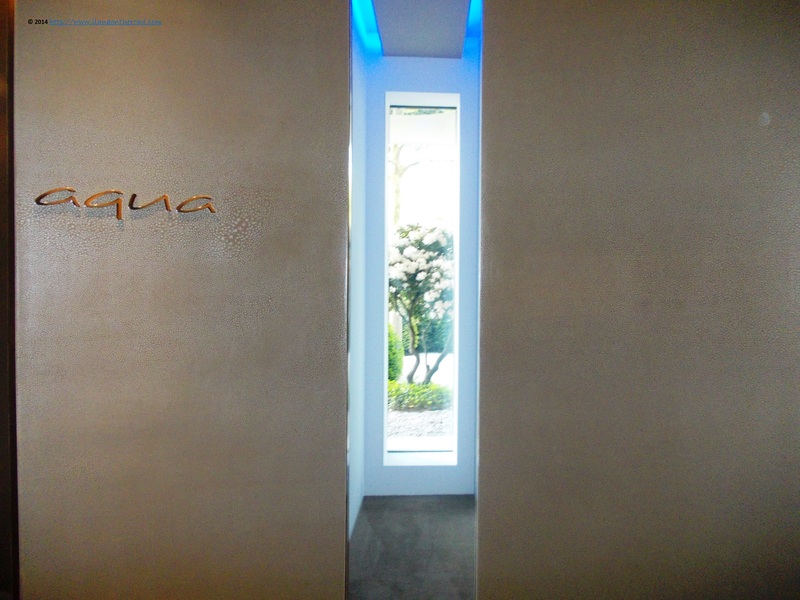 Following the redesign plans, Aqua received an additional window that opens the space into a private garden area, where a large shell filled with water creates an ambiance of peace and serenity. I left the hotel keeping in mind this picturesque ambiance for a long time. This is how you feel when you are truly at home, isn't it? Disclaimer: I was offered a tour of the hotel and invited to test the afternoon tea, but the opinions expressed in this article are, as usual, my own.